Why can’t you be my neighbor? I'm just waiting for the season/cure recipe. 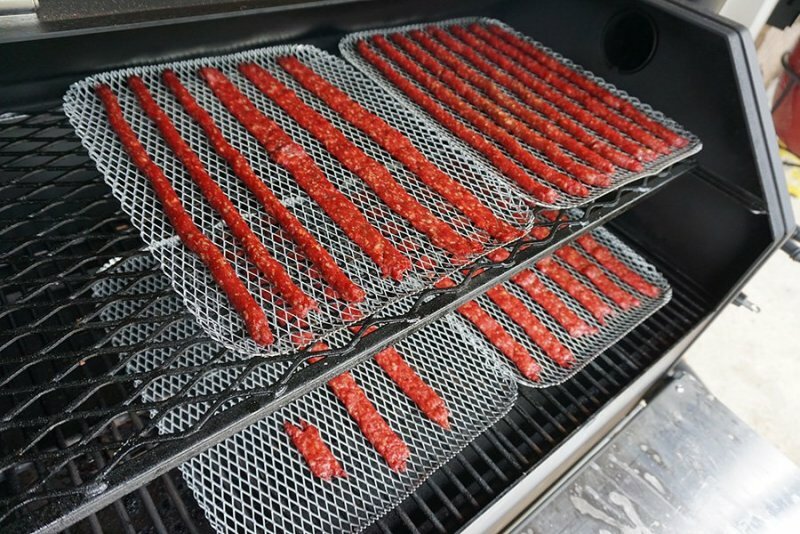 We often do jerky in our dehydrator and I am guessing that the cure would carry across. 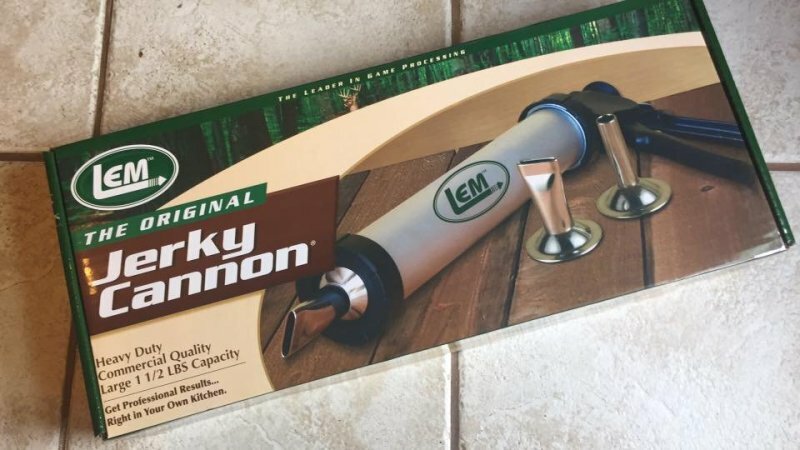 I used the seasoning/cure that came with this Jerky Cannon on this batch. I will have to develop one of my own to use with it next time. I am also going to experiment with some different types of meat. That looks good John, I'm getting ready to try my hand at some jerky using a prepared seasoning and eye of round. Yeah, at the moment we use pre-packaged seasoning/cure. We got various different ones with our dehydrator. Dang, that makes me want to bust out the ol Jerky Cannon this weekend! Someone is also selling a YS640 locally for $1450. He just bought it and says it doesn't smoke like his stickburner so he's selling it. I highly doubt anyone in this area is gonna give $1500 for a cooker like that, I thought about asking him to take a grand or so on it. Is it a standard 640 or the competition cart model? i dont think i let this jerky stay in the heat quite long enough. It felt good and tasted great yesterday. Today, it had softened up significantly. 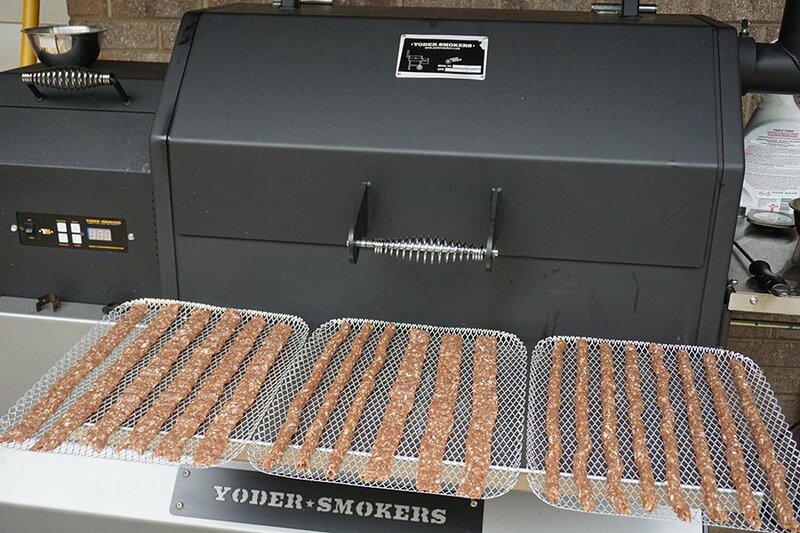 I took it all out of the packaging and put it back on the smoker for a while. I have done some reading and found a possible foolproof way to know when the jerky is ready... i will post more on that after i try it. Standard. He's moved his asking price down to $1250 OBO. I bought this book several years ago. There must be a least 30 jerky recipes at the back of the book. Pellet grills are not typically good at searing. The Yoder YS640 is pretty good at it. I was impressed with the results.